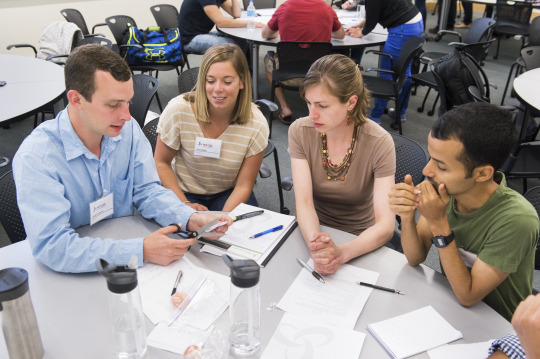 The Leaders for Global Operations Program combines both the Sloan School of Management and the School of Engineering. But it also uniquely incorporates industry partners into the program. Our second year student Yucen walks us through how the special relationship with the LGO partner companies works and how each student benefits from the knowledge shared with them. Hi all! I’m Yucen! A little bit about me: my career passion is to blend technological innovations with a principled management skillset to affect positive change in society. After going through a technically rigorous chemical engineering curriculum in undergrad, I worked in upstream oil and gas for three years as a project engineer. I had a lot of fun collaborating with design teams in the morning, then managing construction projects in the afternoon. It was a great blend of technical with management. I wanted to continue that path of developing my technical and leadership skillsets, and LGO provided me with the perfect opportunity to do so. There were many reasons why LGO was the best fit for me. I thoroughly love the community here - we get to be in one of the most intellectually-gifted communities in the world, full of diverse, innovative, brilliant, yet humble people. I was highly motivated to grow as a person and leader in this environment. The LGO cohort is about 45 – 50 students, all with high ambitions, all working through a rigorous curriculum and sharing a seminal two-year experience. On top of that, we get to be fully integrated into the Sloan class and well as our engineering department. We have action learning labs with emphasis on “learning by doing,” and we have access to approachable, world-class faculty. It’s truly the best of both worlds (engineering and business). Before I joined, upperclassmen told me the hardest thing about LGO is knowing when to say no. A year in, and I couldn’t agree more. There’s literally an exciting project, a cool event, or a world-changing speaker engagement happening every day (and often all at the same time!). You will be very intellectually captivated. 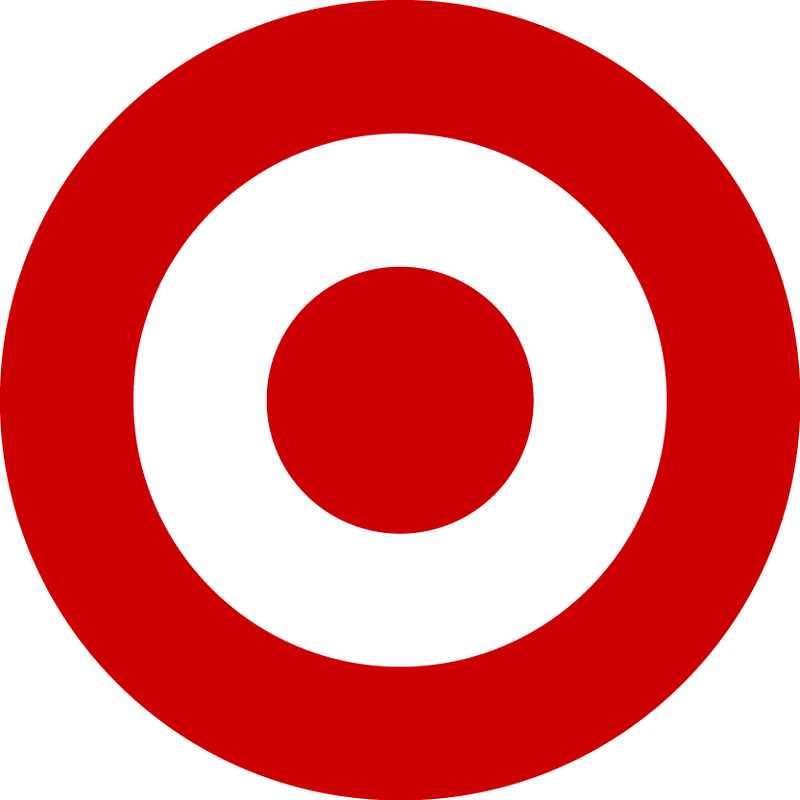 All students are guaranteed an internship at a partner company. The internship process is collaborative and considers students’ interest (through committee surveys) and partner company needs for that year. Certain students are “pre-matched” into more-customized internships that deliver sufficient technical content as it relates to the engineering department. Most students interview for different opportunities among the different partner companies. You can interview with as many companies as you’re interested in. Then, there is a matching process based on mutual rankings between the companies and students to pair each role to each student. The internships are an opportunity for students to conduct research in an industrial application. We publish a thesis based on our six-months internship work. Faculty advisors from both the Sloan school and the engineering department advise on our thesis content. Overall, the internship is a good opportunity to apply the skills you learned, while giving you the chance to dive deeper than a traditional summer internship and produce potentially novel content. The internship opportunities are quite diverse, in terms of function and company. Did I mention that everyone is guaranteed an internship? My internship is at Amgen, one of the worlds’ leading biotechnology companies based in Thousand Oaks, California. I am applying machine learning to generate predictive models for cell line selection. Ultimately, we want to increase efficiency (reduce resource utilization and cycle times) in this critical, resource-intensive process within the biologics development pipeline. Beyond the machine learning coursework in LGO, which has provided me with a capable data analytics foundation, what’s been even more useful within the LGO curriculum is the emphasis on operations and organizational dynamics. The focus on analytics within operations allows me to diagnose where my project adds value within the workstream. Furthermore, “soft skill” classes in communication and organizational processes has helped me manage my project stakeholders so I can be more successful in implementing my project. Has my internship allowed me to think outside the box and take on new leadership roles? Yes, and yes! Since our internships are finite in duration, I had to think of practical ways of delivering predictive models that would be useful for our stakeholders after I leave. Instead of building time-consuming, first principles-based models, we focused on an algorithmic framework to build data-driven models, to allow for scalability and transferability in analogous use cases. There was a lot of research and advise-seeking on the best ways to create our tools. In the end, we were able to develop a modular framework and a user-friendly front-end application to help our projects’ customers understand and adopt our tools. This internship has helped me practice influencing without formal authority in an industrial setting. 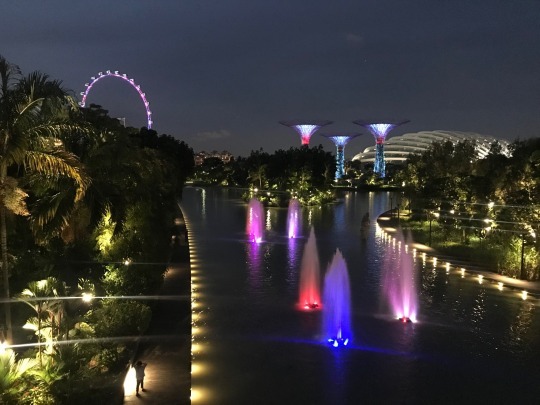 In fact, one of my favorite experiences was the opportunity to travel to the Amgen site in Singapore for a knowledge transfer session, where I taught end users how to use my machine learning-based applications. I had a lot of support throughout my internship. There were biweekly meetings with my faculty advisors, during which Anna, our helpful LGO research collaboration manager, also provided advice. Within Amgen, I relied heavily on alumni for mentorship, both in navigating my project and the company. Most importantly, my fellow LGO classmates provided invaluable support. 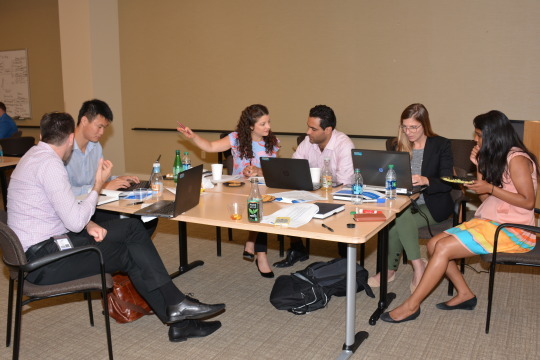 Within Amgen, the LGO interns have created a close-knit community, collaborating on project topics and providing useful resources to one another. For the whole class, we hold weekly calls where all LGOs can share issues and provide constructive advice to each other. There have been some surprises along the way. From a technological sense, what’s been surprising is the ubiquitous emphasis on Big Data and AI (and all the related buzzwords) across companies and industries. I feel very fortunate to be in a community at the forefront of innovation, where I can learn about the “latest and greatest” technologies. Regarding LGO – I can’t say I’m too surprised – but I’m very appreciative of the amazing achievements of my classmates. On top of that, everyone is humble, friendly, and funny – which makes for a great group! One of my favorite takeaways from my classes at MIT is that authenticity is the one key trait shared among diverse, effective leadership styles. As you think about applying, think about how you can present your story authentically and show your genuine aspirations and passions. Be bold and think about what specific program or opportunity will allow you to be genuinely fulfilled, for the duration of the program and beyond. Good luck! The LGO Program is a blend of both the MIT School of Engineering and the MIT Sloan School of Management. LGO Students gain both the hard-technical skills and the softer skills that will help them succeed in the business world. Jake Pellegrini is an LGO 2019 student pursuing his degree in Mechanical Engineering. Here he reflects on why he chose a dual degree with the business school and one of his favorite classes from Sloan. 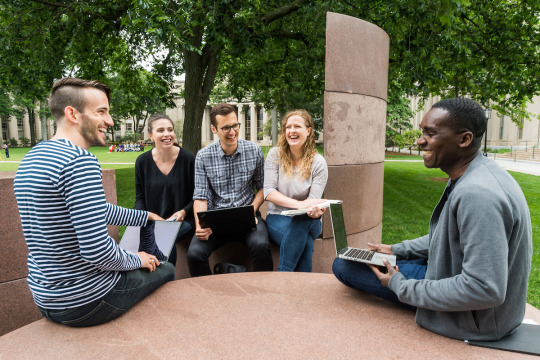 Why business school? Why now? Even when applying for schools, I thought extensively about these questions. Coming from a consulting background, I felt that I had a broad business base and there was a path to the post-MBA role at my firm without the need to leave for an MBA. I had worked on over two dozen cases: acquisition screens (What should we buy? ), commercial due diligence (Should we buy it? ), post-merger integration (How does 2+2 become 5? ), and growth strategy (What next?). I realized, though, that as I transitioned from more of an individual contributor role to one of leadership and management, I knew I needed to work on some of the softer skills like communication and team building. After completing my undergrad in MechE at the University of Notre Dame and working at L.E,K Consulting, I knew it was time to take the leap and apply to graduate school. I stumbled upon the LGO website and cold-contacted a current student who happened to have attended the same undergrad as I did. 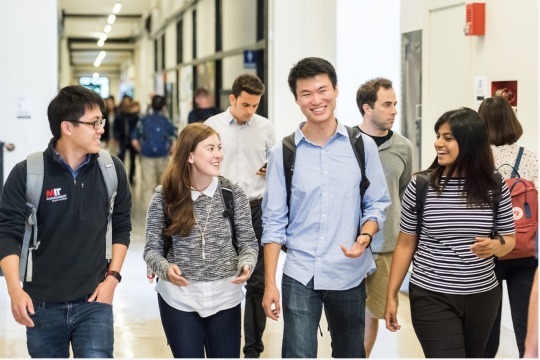 That conversation plus meeting other current students at the Preview Day event helped me better understand how complementary the engineering / operations and business ideas could be. I applied, got in, and began my LGO journey. After spending the summer with my LGO Cohort and taking classes that are specifically targeted for LGOs, it was time to move into the Sloan world and join my fellow Sloanies as an MBA Candidate. I was excited to take on classes that were outside of my comfort zone, particularly a Communications class that was a required part of the core semester. The class offered opportunities for impromptu speaking, structured communication, and effective writing. My two favorite experiences with this were giving a prepared five-minute persuasive presentation and learning to give and receive feedback. While decked out in Notre Dame gear, I gave my presentation on how Notre Dame should be ranked higher than Alabama in college football (at the time, there was a case for that… a persuasive case might I add J). Reflecting after, I realized the Powerpoint skills developed as a consultant combined with the tools learned in the Communications class complemented each other. 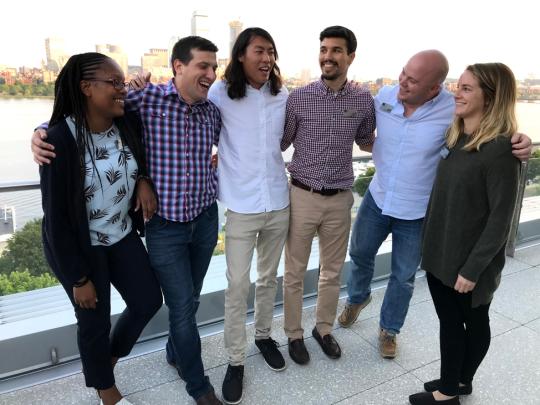 The second experience I look back on as critical in my development involved giving and receiving feedback with my core Sloan team, a group I had become very close with over the course of the semester. We carefully prepared feedback for each person, including one positive and one constructive. While I had been in feedback sessions before, the structure of the session and the thoughtfulness of my peers helped me realize what effective feedback is and how to give it. Looking forward to my future career, I know there will be times when I am on the other side of the table, looking to grow and develop those around me to be leaders. I know I will leverage the softer skills developed throughout my time at Sloan, particularly with the Communications class. The thought of coming to MIT was one of dreams to me, even more so being an international student from Libya. This was my dream however; I had always imagined myself coming to MIT and learning to become a principled thinker making an impact on the world with hands and mind. 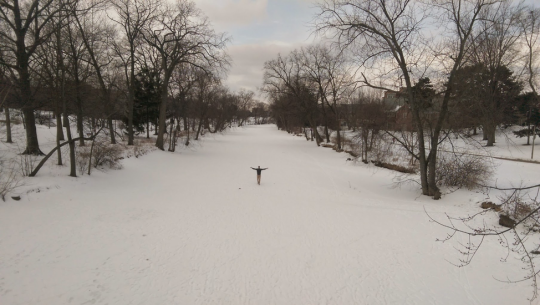 Just ten months ago, that dream felt like an insurmountable mountain with no clear way up, however today, I am writing this blog post after finishing up my first summer semester as an LGO student. I wanted to write and reflect about my experience making it to where I am now. I will touch on how I first came to the US as an international student, my first experience learning about LGO, how I went on to apply to MIT and my experience so far now that I’m three months into being a graduate student. I was born and raised in Benghazi, Libya and I consider Benghazi to be my home. I grew up in the 90’s when Libya was politically and economically isolated from the world under the socialist dictatorship of the time. Nonetheless, I was extremely fortunate to have had the best possible education given the circumstances. My parents instilled upon my siblings and I the importance of learning English (along with Arabic) at a young age and expanded my learning horizons by getting us all the book and interactive games they could in both English and Arabic. I then even went on to take Spanish, French and Italian language classes as well! In the evenings after school, most of time was spent in the various extracurricular activities that I was a part of from all the sports I hopped on and off from to all the volunteer and community work that I got to do and most importantly to my 13 years as a Libyan Boy Scout. It was truly through scouting that I came to develop my leadership, social and personal skills. In those long sun-drenched summer days along the Mediterranean coast of Libya when we were pitching up tents for our summer Jamborees did I learn how to work in a team, lead by example, and value the importance of friends. Just as I graduated from high school and was planning out my gap year, as if fate meant it to be, the Arab Spring rolled in and all my plans for the future were scrapped as I was on the front lines of attempting to bring change to my beloved country. Nonetheless, I always maintained that desire to continue my education and so by the end of 2011, I embarked on a journey that took me from the American University of Sharjah to Michigan State University to study electrical engineering. It was during those years when I was away from my family, friends and people I came to know growing up, did I find home with my fellow international students across campus. I developed relationships that crossed cultural lines and taught me the value of the global connected world. 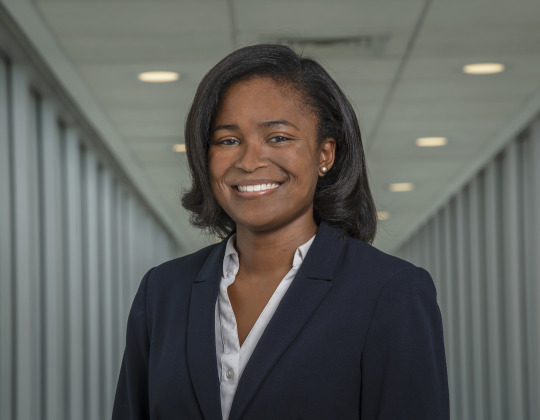 As I was approaching graduation, growth and career opportunities back home were non-existent and so I decided to take a job working as an electrical engineer with Black & Veatch designing electrical systems within power plants. By then, I had experimented with an internship and was involved with the Solar Car Racing team at MSU, so I knew that my passion was in the energy/power worlds and so I embraced my new job as the perfect place to learn and grow my passion for the industry and prepare me for my next career move. Being the constant learner that I am, I was never satisfied with the introductory knowledge I was taught during my undergraduate years and I had always intended to continue on to graduate school. I had my eyes set on doing my masters in some form of engineering at some point but never knew when the right time or place was. Until I stumbled onto a few programs of interest at the 2015 Purdue Graduate School Fair where I picked up brochures and collected business cards. I felt rejuvenated by the prospect of being a student again and learned so much more from meeting admissions representatives in person than I ever did scrolling through websites. A couple years into working with Black & Veatch, I felt like I was falling into a stagnant routine and I was getting too comfortable in my job. And so, I decided to apply to graduate school. I knew I wanted to study electrical engineering with a focus on sustainable power generation and I knew I wanted to go to the best universities that I could, but not much beyond that. And thus commenced my graduate school research adventure sometime around the fall of 2017. One of the brochures I had picked up from the Purdue Graduate School Fair was from LGO and so I looked more into the program and was intrigued. I knew I always had entrepreneurial and business development aspirations but never considered doing an MBA. LGO sounded to me like the perfect combination with the added benefit of being at MIT – a place I had previously attempting to apply to as an undergraduate but never managed to put an application together. On the LGO events page, I learned about Preview Day and instantly booked a spot. I knew I could be flexible at work but I made sure to communicate with my supervisors my intentions of going to graduate school early and hence my upcoming travels. To my surprise, my supervisor welcomed it and encouraged me to pursue graduate school, albeit as a second option to staying in the company. Preview day was a blast! 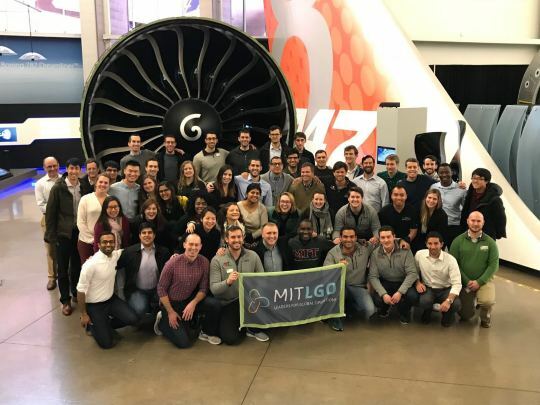 I came out of it convinced that LGO was the perfect fit for me and learned all about MIT and Sloan from the current students, alumni, admissions staff and faculty. Moreover, hearing stories of prior students’ experiences made me a little bit more confident in that there might be a possibility of making it in. From there I got straight to working on my application. Thanksgiving break was a welcomed time off to dive deep into essay draft editing and hunting down of reference letters from my supervisors and peers. Looking back at it now, I think I enjoyed the process. There were many times when I thought I was embarking on a hopeless challenge and that I should just give up on applying. I surely disliked writing about myself and found it hard to focus. However, I learned a lot from it all the writing. Through reflecting on my life, I honed down further on my personal career aspirations and became even more convinced of why I wanted to pursue this path. To my recent surprise, I wasn’t alone in thinking this way; I learned from my LGO peers that many of them went through that same process and everyone comes to MIT with the famed imposter syndrome. Hence, my words of wisdom are: trust in yourself, your skills and talents and let it be shown in the application; your essays will speak for themselves if you are true about your ambitions. A couple months later at work, as I turned my phone back on after presenting a major plan to my project clients for the first time, I was surprised to find an invitation for an interview for LGO. Could this really be happening? From there, I nailed my interview and waited anxiously for a couple more months before I got that phone call from Thomas Roemer, LGO’s Executive Director welcoming me to the Class of 2020 and so began the roller-coaster of ride that was my spring and summer. With classes starting swiftly in June, I wanted to use the transition opportunity as an escape from the comfortable life I got used to in the US and to travel. I made the most out of this career-changing transition period and booked a one-way flight ticket to Aguadilla, Puerto Rico where I was committed to helping the people of the island in their recovery from Hurricane Maria. 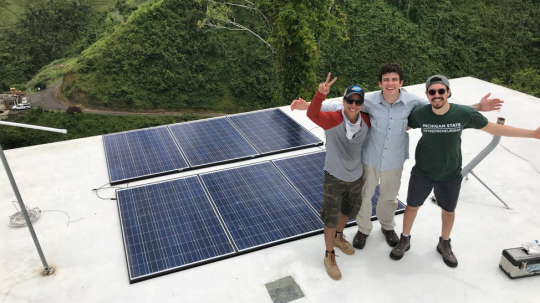 I ended up staying in Puerto Rico for a month volunteering my time with Solar Libre driving through the narrow mountain dirt roads installing solar power systems for farms, schools and community centers. It was a thrilling experience that got me recharged and ready for my time at LGO and to becoming a community-focused, entrepreneurial, leader within the energy industry. I could write a whole other blog post about the three months since our first day of classes on June 4th. I am still in awe of how much I learned, how much fun I had, and above all, the amazing 47 other individuals that I now get to call my friends: the LGO Class of 2020. The summer semester comes at you fast. You are immediately thrown into small summer team that you grow and get to know on a personal level. With no background in operations, optimization or even statistics, I still had a great learning experience from our classes without being too overwhelmed. However, LGO is special in that we also go on plant treks and, for example, see how Amazon’s fulfillment center robots are being assembled and brought into life as well as having events with partner companies where we got to learn about what they did and its importance. Finally, I can’t talk about the summer, without mentioning the countless hours I spent sailing in the Charles River and the amazing resource that is the MIT Sailing Pavilion. Looking back at it now, I have no doubt that 2018 was the best year of my life so far. However, in reflecting, I want to retell the story of how none of what I got to do this year was even possible in my mind only a year ago, but I trusted the process and trusted where my ambitions would take me. We can never know what the future holds for us, but the steps we take today will shape our day tomorrow and I can’t wait for what’s ahead of me in the rest of these two years at LGO. Applying to a dual degree program can be stressful and sometimes scary for prospective students. Amidst your work and life commitments, you also find yourself pouring over the GRE or GMAT prep books, hustling to get your recommendations on time, and trying to craft your video essay so that it truly captures your essence. We caught up with some LGO students reflecting on their admissions experience. They’ve gone through the ups and downs and red pen edits of their application and are now happy to share what they have learned with you as you prepare for your LGO application. Meet Fatima and Taylor! I was born in Guinea, West Africa and moved to Atlanta, GA in 2008. I have a Chemical Engineering degree from Georgia Tech. Before MIT, I was working as a capital project manager at WR Grace, which is a specialty chemical manufacturing company. I was responsible for the design, procurement, and construction of a catalyst plant in southwest Louisiana. During this time, I realized that I wanted to deepen my technical and leadership skills in operations management. After attending LGO Preview Day and meeting with current students, I knew that LGO would best help me achieve these goals. I was also excited about the opportunity to network with partner companies through the 6-month internship. Additionally, the small LGO cohort provided me with an opportunity to really get to know my classmates and develop a strong support system during and after LGO. Newport News, VA will always be my true home. However, after graduating from Columbia University with a Mechanical Engineering degree, I moved to Hartford, CT to work for Pratt & Whitney (an aircraft engine manufacturing company). While at P&W, I participated in a rotational program to gain exposure to multiple sides of the company. As a result, my passions for technical products and complex designs were solidified. However, over time, I realized that I wanted to take on roles that were more strategy-focused and team-driven than solely design-oriented or solitary. Yet, to develop the skills needed to transition into managing technical products, I knew that an MBA with a focus on technology would prove to be invaluable. The Leaders for Global Operations program meets my desires to remain technically grounded while overseeing diverse teams. Lean/Six Sigma tools, systems optimization, and data analysis are vital skills that are transferable to a variety of industries. From Day 1, I knew that LGO would set me on a bright path and surround me with a strong, supportive network. We recommend applying to the engineering department that not only interests you but also the department in which you have some prior work or academic experience. Many LGO students join an engineering department that is different than what they studied as an undergraduate student. It can be helpful to research the department’s faculty and course catalog and admissions requirements on the LGO website beforehand. Feel free to reach out to LGO admissions officers and current students with any questions. Additionally, the LGO Ambassador Program is a great way to attend classes with current LGO students and experience the LGO culture first-hand. Fatima: The first step of the application process was to self-reflect. 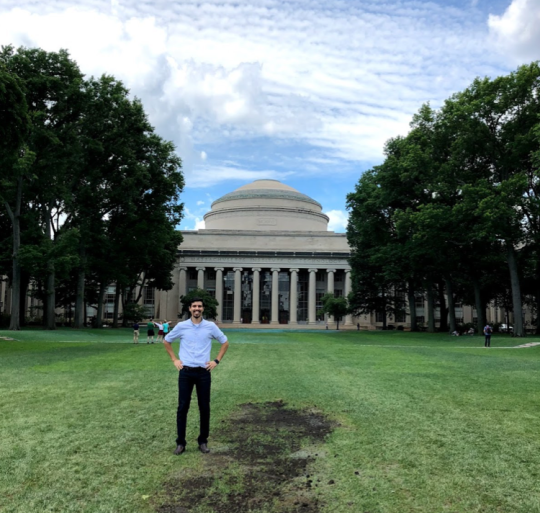 It was important to take the time to reflect on my past experiences and think about what I wanted to do not only while at MIT but also after the LGO program. I also needed to reflect on my personal story, my values, and how these aligned with the MIT culture. This process helped me refine my story, understand my motivations for the dual degree and identify the leadership skills I needed to develop, all of which were crucial during the application process. Taylor: I was a participant in an MBA preparatory program called Management Leadership for Tomorrow (MLT). MLT pushed me to develop my personal story, elaborate on my passions, and to think deeply about why I truly wanted to pursue business school. This overall process is comparable to the Lean concept of asking “Five Why’s.” To sum this briefly, ask yourself a question such as “What truly makes me happy?” Answer this question, and subsequently ask yourself “Why?” Continue this process until you have asked “Why?” five times, allowing you to better understand your intrinsic motivators in a simple, yet effective way. During this process, I also researched and visited multiple schools, spoke with current students and alumni, and spoke with people who already worked in roles that I wished to perform one day. Having all this information available enabled me to put together a thorough and cohesive business school application. The essays are your opportunities to let your voice shine through. They provide the admissions team with a window into how you think. Merge your passions and past accomplishments with how MIT will specifically help you progress towards your goals. In the statement of purpose, we both outlined why the Mechanical Engineering Department interested us. Whether it was for the distinguished faculty, unique opportunities in product design/manufacturing/operations, or possibilities for diverse collaboration, we clearly stated what motivated us to apply to the MechE department. We used the technical essay to highlight how we overcame a technical challenge in our respective careers, emphasizing the lessons we learned. Lastly, the optional essay is just that: optional. Use this space to explain any inconsistencies in your application such as a gap in employment, prior academic performances, or any other personal situations that created extenuating circumstances. Consider approaching this from the viewpoint, what would I like my potential classmates to know about me? Accordingly, use the introduction video to convey your personality, hobbies, and/or whatever else matters most to you. There is no need for anything extravagant so do not overthink this. Keep it simple and authentic. 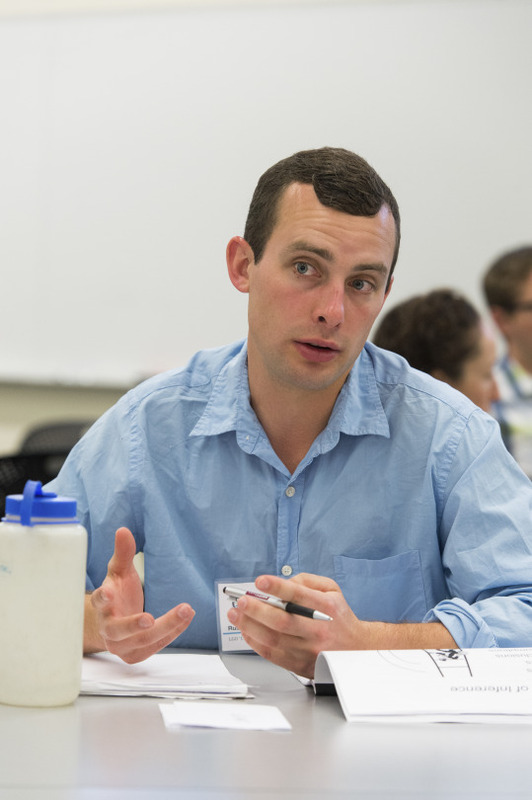 Ultimately, what surprised us most was how quickly the LGO cohort became a supportive family over the summer. While the entire class was divided into ‘summer teams’ of six students, everyone encouraged one another with humility and patience. For example, we held multiple, student-led sessions on best modeling practices in Excel and Python. We also held multiple “What Did I Do” sessions during which we shared our past experiences, our biggest accomplishments and the challenges we faced pre-LGO. Additionally, we all come from diverse backgrounds and this brings a wide range of perspectives into the classroom. Having genuine in-depth conversations with our classmates has made us realize others’ passions and helped foster a truly authentic and awesome LGO experience. It’s hard to believe that over 10 years ago I made one of the biggest decisions in my life to move across the country and start at MIT in the Leaders for Global Operations program. In many ways, the decision was one of the easiest I’ve made - honestly, who could turn down an acceptance letter from MIT?! All joking aside – even though it was an easy decision for me, it wasn’t one that I made lightly. 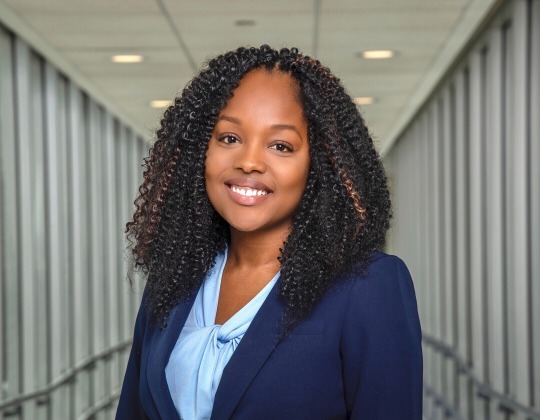 I had been at Northrop Grumman for over 5 years and I’d held a variety of exciting roles ranging from Industrial Engineer to Financial Analyst and was being promoted to positions with increased responsibility and breadth. I also loved the product I was working on (planes!) and the team and leadership were amazing. So, why did I want to leave? It’s hard to pinpoint one thing specifically, but I knew deep down that I was looking for an opportunity in my career that would open up more doors for me in the future. I yearned for a challenge that would push me outside of my comfort zone and allow me to grow in a way that I didn’t think I could experience with my current career path. I knew the LGO program was a perfect fit for me from the moment I decided to apply. In fact, I felt so strongly about the program that it was the only place I applied for grad school. I was specifically drawn to LGO because of the balance of content that would allow me to grow as an Engineer, a Businesswoman and as a Leader. It sounds cheesy but that balance of content in the program really allowed me to expand my skills while also doubling down on my passion for operations. 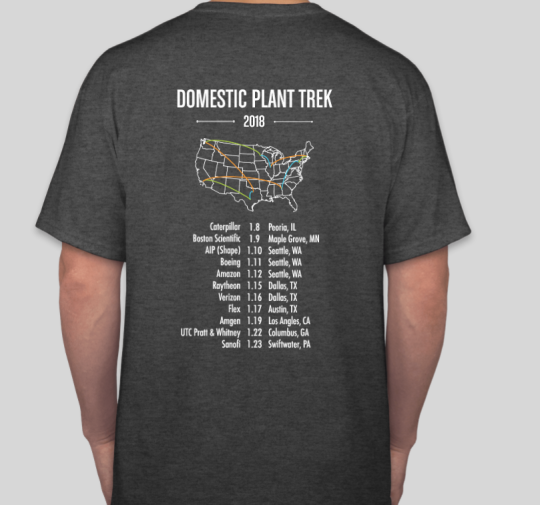 · Domestic plant trek – A whirlwind 2-week trip across the USA where you get to visit a variety of partner companies, enjoy line tours and have Q&A sessions with some of the top leaders in the organization. · Operations Labs – Coursework where you partner directly with a company that needs help with operations challenges. You get to see behind the curtains to help come up with a solution they could actually implement. I worked with companies ranging from large businesses like Victoria’s Secret to small local Massachusetts startups. One of the most important things you gain through the LGO program are the relationships with your classmates. The summer starts quickly and you’re all thrown together trying to get bearings in a new city and with a new routine. The special bond between the class is formed immediately and lasts even today, over 8 years since graduation. 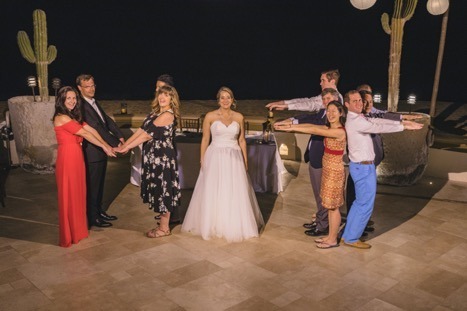 I was recently married and had many LGO and Sloan classmates at my wedding, I work closely with LGOs from all years and I turn to many of my LGO classmates for career advice and guidance when I’m in need of wise opinions. The strength of the LGO (and Sloan) network cannot be denied or minimized and it will truly be something you can rely on for years after you graduate. 1) The culture of the program should not be undervalued. Visit the campus, meet alumni, current and prospective students, talk to staff and professors. Gather any data you can to help determine if this a community you see yourself being part of. The value you get from your experience comes from more than just the lectures in a classroom. 2) Ensure you have a clear goal for what you want to accomplish in grad school. Don’t worry, the goal will probably evolve over time, but by being clear (and honest) with yourself about why you’re considering embarking on this path it’ll help you know if it’s the right decision and will also (most likely) help you tell a more compelling story to the admissions team. Today, I look back on that day in 2008 when Don Rosenfield called to tell me that I was accepted into LGO as a pivotal moment in my life. Because of LGO, I’ve been able to be part of a team that solves the most challenging supply chain problems in the world. I’ve helped launch dozens of new products, been to many new countries working with suppliers all over the world and have had the opportunity to mentor young professionals just starting their career in Operations. It was no doubt the right decision for me and one that I benefit from every day. Looking over the barren New Mexico landscape from seat 14F, it’s hard to believe the LGO class of 2019 is only on our fourth flight of seven on the Domestic Plant Trek (DPT) – our annual whirlwind trip around the country visiting our partner companies. With the generosity of these partners, we’ve made this year’s DPT the longest ever: 11 sites in 7 states over 17 days. This is a big trip: bouncing around the country to visit manufacturing sites, fulfillment centers, and other cutting edge operations means flying a total of about 400,000 passenger air miles between 50 classmates and staff. LGOs have recognized that in addition to airline points, we’re racking up a significant amount of CO2 emissions given the carbon intensity of air travel. I’m proud to say that for the first time, the student planning committee for DPT and the LGO program have purchased carbon offsets to reflect the CO2 emissions of our seven DPT flights. While these offsets do not reduce our immediate environmental impact, they represent an acknowledgement of the externalities of our decisions and set a precedent for student travel at MIT. By purchasing offsets through Gold Standard – a trusted non-profit maximizing the environmental and social impact of such purchases – we generate meaningful environmental benefit in parallel to our travel impacts, in this case supporting a reforestation project in Panama. A savvy environmentalist might point out that we’ve neglected the impacts of our inter-city bus rides, hotel stays, and non-CO2 emissions from flights. In fact, we made a conscious choice to address impact over precision. A detailed analysis of our exact impacts could easily fill a PhD thesis, so we opted to prioritize the most obvious and most readily quantified impact. Similarly, simply not traveling is not an option: the wealth of insight we gain on DPT is unparalleled and critical to our dual degree program. As we move forward to institutionalize this practice of offsetting student travel at MIT, we will expand our thinking both with respect to our broader impacts and to more immediate and tangible mitigation options. In the meantime, I hope we’ve set a new standard for LGO and helped inform the travel decisions of our class and our LGO stakeholders. “Sir, the [cafeteria kitchen] just lost power, Christmas dinner won’t be ready in time!” As the base engineer, I’d given the colonel bad news in the past. This took the cake. Who knew a meal for 1,500 people is prepared over 24 hours in advance? As I surveyed possible graduate programs, I thought back to this and other army experiences. I realized I wanted to help solve the types of energy related problems I’d encountered in the Army - like having power to prepare Christmas dinner. This led me to apply to the MIT LGO program and several other MBA and engineering programs. Ultimately I chose MIT because it aligned the best with my goals of leadership development and acquiring new technical expertise. I initially thought my experiences in LGO would be siloed: leadership through the MBA, technical abilities with the SM. After two semesters, I realize I was greatly mistaken. Through Sloan I am learning about the energy industry, and my most challenging leadership experience was in the School of Engineering. I was taken back by Sloan’s involvement in energy. 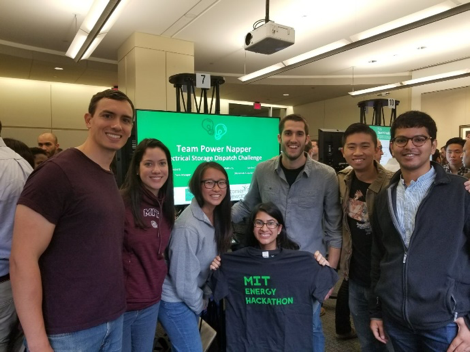 MBAs from the Sloan Energy Club comprised the majority of my team for the Energy Hackathon. The optimization model we developed for solar battery storage facilities blew away my preconceptions about MBAs. Now that my required classes are done, I’m taking three energy courses at Sloan next semester. The subjects fall within departments from applied economics to systems dynamics. I’m also rounding out my finance skills so that next year I can take a class on social impact investing. Surprisingly, my engineering class on developing simulation software included substantial leadership development. Throughout the semester I worked on a team of three to create epidemiology simulation software. A week to go, we were still pretty behind. I had never worked on a software project and it exposed me to the challenges of the tech industry for the first time. Nothing seemed to work for us. The worst part was having to present to and graded by a panel of industry experts. Think people who develop MATLAB (a far cry from pitching tents in Afghanistan). Through an all-out effort by everyone and after some highly productive brainstorming sessions, we got our software working and the presentation was well received. It turns out that the experts were just as interested in our ability to work together as our technical abilities. Luckily we delivered on both fronts. MIT is not only presenting me with ways to develop as a leader and engineer in ways I never thought possible. It is blending the two. Besides the cold walk between some buildings, the business and engineering schools at MIT blend effortlessly. This is the integration I was looking for in a graduate program. 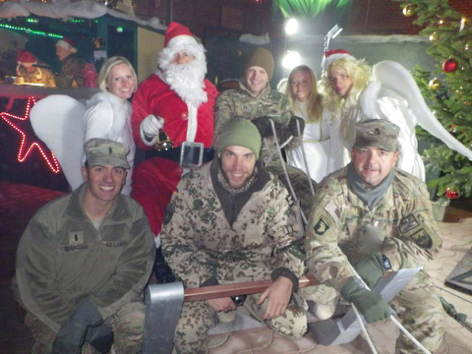 It was the integration of leadership and engineering that brought together the herculean effort of engineers and cooks to save that Christmas meal five years ago in northern Afghanistan. 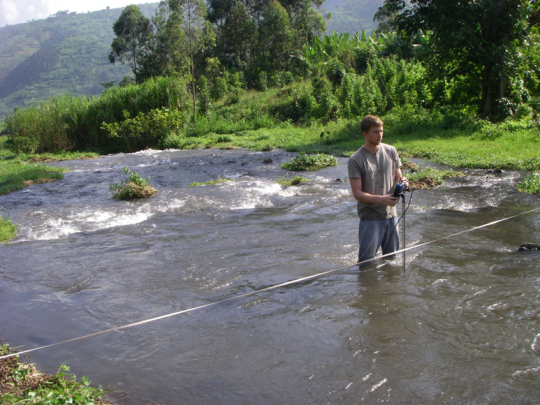 Not many engineers carry a water filter, malaria pills, and sunscreen to work every day. However, when you work in rural energy development in East Africa, these are just as important as that TI-86 calculator that has become an essential to any engineer. Prior to coming to MIT’s LGO program, my wife and I lived in Rwanda for two years. I was a chief engineer for a hydropower developer, and she lectured at a Rwandan university in biology and chemistry (my wife is great…you know you’ve found a good one when she agrees to marry you and move to Africa just two weeks after the wedding). We lived at the base of five stunning volcanoes, rode mountain bikes to work every morning, ate more mangoes than I can count, and hiked volcanoes on weekends. When we came to MIT, I was worried that I would lose connection with my work and personal research from our time in Rwanda, but I was wrong. One of the best things about the program is the openness to learn, research, and push the boundaries of what students can do. Before coming to LGO, I had been working on a project looking at optimizing Rwandan energy consumption, and quickly found support in the mechanical engineering department to continue with the research. MISTI travel grants gave great opportunities to travel abroad and continue to research. I felt extremely supported in my work. Essentially, I was given the opportunity to work on this fulfilling research while taking summer and fall courses at MIT with 48 brilliant LGO minds from around the globe. It was paradise. My project centered on reducing the diesel generation that occurs in Rwanda every year. Rwanda has a lot of good resources for hydropower, but peak energy consumption is covered with diesel generators. Without even taking into effect environmental costs, diesel is extremely expensive for a land-locked country like Rwanda. I wanted to look at the structure of feed-in tariffs for hydropower developers to incentivize them to store water during the morning and to release it during the day. This capacity would cost the developers more capital, but would obviously pay out in less diesel consumption. The problem essentially turns into a multivariable convex cost function, where we change turbine sizes and storage sizes of lakes. It requires a fairly complex model to implement multiple rivers, flows, rainfalls, and turbine sizes. Throughout the course of this project, I have felt very thankful for the opportunity to attend a prestigious school like MIT while working on concurrent, personally fulfilling research. By far, my favorite thing about MIT is that there is an absolutely impossible number of things that I can learn and study here, and that the only bottleneck in the learning process is myself. I love the vast array of courses, design competitions, prototyping workshops, research opportunities, and relationship building that is available here. When I am the limiting factor in my learning, I know I’m at the right place. Back in February 2017, I was contacted by David Hume (LGO ’16) regarding an opportunity to be a peer reviewer for a grant funding opportunity hosted by the Department of Energy (DOE). These grants provide funding to advance applied sciences in the energy industry. This specific grant focused on the marine hydrokinetic (MHK) industry; the MHK industry includes marine renewables such as wave energy or tidal energy. David passed along my contact information to one of the organizers because of our identical background and shared interest in the marine renewable energy sector. He and I were classmates at the U.S. Merchant Marine Academy, sailed on liquefied natural gas tankers after graduation, and at LGO took the Ocean Engineering Systems Management track. While David had a conflict of interest which unfortunately prevented him from being a reviewer, we both qualified as credible peer reviewers in the topic area based on our history. There were several steps in this peer review process. During March I performed an independent critique of several research proposal applications. Scores were assigned across a range of criteria, and feedback on strengths and opportunities of the application were also included. In April I flew to the National Renewable Energy Laboratory (NREL) in Golden, Colorado, for two days of meetings with other peer reviewers. During these meetings, we had in-depth discussions of each application and revised our original scores as appropriate based on the results of these discussions. Finally, these recommendations and comments were passed to a Federal Review committee for evaluation and funding decisions. When I showed up to the meetings the first morning I was a bit nervous because I felt like the outsider in a seemingly well-connected and experienced group. However, I quickly found mutual ground with the other reviewers through various communications and influence strategies I’ve learned at Sloan. I was pleasantly surprised to find that my background of systems design engineering and the dual degree education at MIT enabled me to make comments germane and insightful to the discussions. Both the engineering and business skills I’ve learned through the LGO program were essential to successfully bridge the gap between the more senior reviewers and myself. At the end of the first day I realized that by asking the right questions, driving discussions when necessary, and bringing up important points which others had not considered, I was just as capable as the other, more senior reviewers in the group. Indeed, the feedback I received after the second day was that my perspectives helped identify high value applications and that I would be kept in mind for future DOE merit reviews. Why Study Anything but Engineering? Why study anything BUT engineering at MIT? In my case, why study supply chain management and operations? MIT offers cutting-edge research opportunities, access to infinite resources, and some of the world’s best professors. For instance, the university has one of three domestic tokamaks; the Media Lab works on cool “problems” like this and this; and MIT researchers have created the first robotic cheetah. I think this is a critical part of being at MIT; it’s an environment filled with some of the most interesting research that the world can offer. One could think that as a supply chain and operations student, they would not have the same access or engagement with cutting-edge technology. This could not be farther from the truth. Of course, it is easy to feel like you need to be involved in something truly earth-shattering. But the exciting things at MIT have not discouraged or deterred me from continuing down my planned career path. If anything, it is energizing to be closer to the work that MIT scientists, students, and professors are working on while I develop general operations and leadership competencies in LGO. MIT research adds flavor to my classes and experiences, whether a lecture on autonomous freight in a logistics class or a visit to Amazon’s robotics center near campus. With that, here are a few reasons why I am studying supply chain management, operations, and general management. 1. Job Prospects (and Security): Every company that produces a product (and many that do not) has a supply chain. Each product differs in complexity and lifecycle, demanding adaptive thinking from experienced professionals. Managing inventory, negotiating supplier contracts, and sourcing components requires specific knowledge. In addition, MIT is world-renowned for its supply chain and operations education with several programs that are world-renowned, including ORC, SCM, and LGO. These programs work with some of the major supply chain and operations innovators. LGO boasts partnerships with companies such as Inditex (Zara) and Amazon: companies defined by their supply chain agility. Combining practical experience with these companies and MIT education creates graduates who are typically ready to tackle some of the most complex challenges in today’s supply chains. : Corporations are more diverse and global now than they have ever been. As a result, providing employees with opportunities across the spectrum of operations is becoming more and more important. To spur this type of development, many companies have created leadership development and rotational programs. These programs help to fast-track your career in a way that a standard job cannot offer. Young professionals often get the opportunity to experience two to four different jobs at several different sites during their time in these programs. In addition, the millennial generation has been classified as “nomadic” and “adventure seeking”. Operations can offer a career that caters to that. Over the last four years, I have had the opportunity to work in four states and several of my colleagues had the opportunity to work abroad. For those of us that thrive on adventure, this career path can be very attractive. : Supply chain and operations is personal. Whether you are working with a diverse team on a manufacturing line or conducting price negotiations, the task is just as technical as it is about intuition, wits, and experience. In my experience, successfully negotiating price reductions or convincing manufacturing veterans to change their process has been extremely motivating and rewarding. : Say you want to get involved in the development of the next iPhone but did not study electrical engineering or computer science. For most, there would not be a place on that team. However, operations management and supply chain always get a seat at the table because if Apple could not effectively manage the scale of over 200 million devices per year, another company would likely rule the smartphone world today. 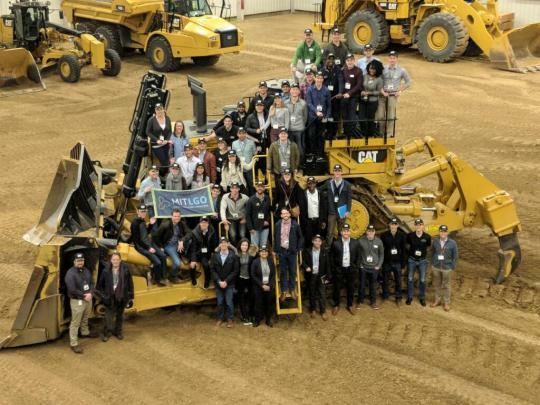 Pursuing a supply chain and operations education is a great way to gain access into some of the world’s coolest innovation while not having to have such a specific skillset that some industries require. Read Jeff’s full blog post, and other MIT Graduate Student Blogs, here. You've got the most recent posts here, but follow this link to delve into all historic posts.